c. Late 1970s. 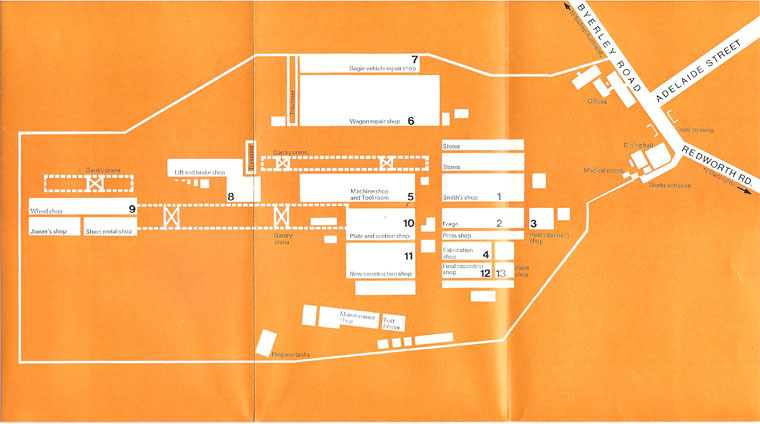 Shildon Works Map. c. Late 1970s. Hydro-Copying Machine. c. Late 1970s. Multi-Head Auto-Scan Gas Cutting Machine. c. Late 1970s. Jig Assembly for Coal Wagon. c. Late 1970s. 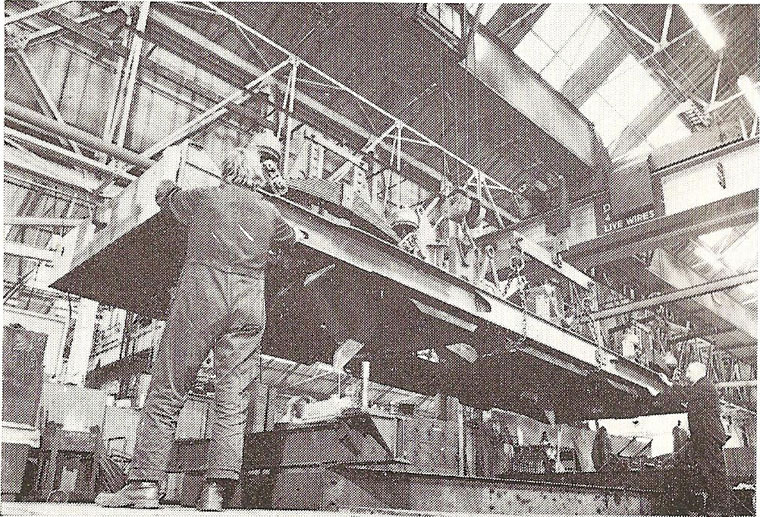 Coal Wagon Assembly. c. Late 1970s. Rotary Jigs. c. Late 1970s. 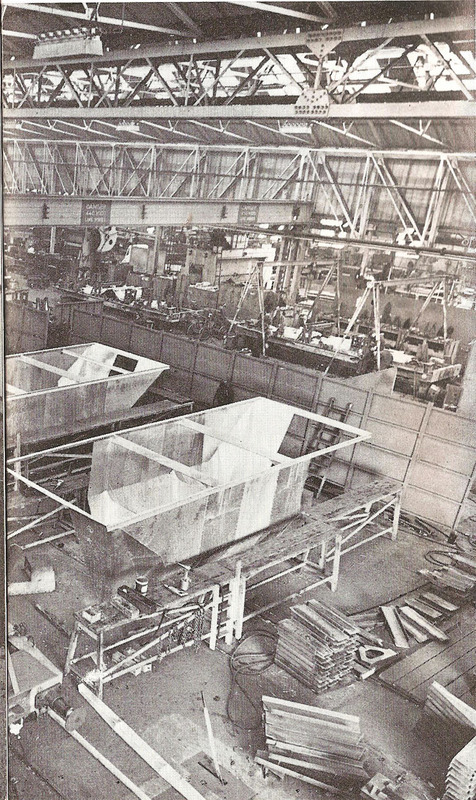 Wagons in New Construction Shop. c. Late 1970s. In the Paint Shop Pits. c. Late 1970s. 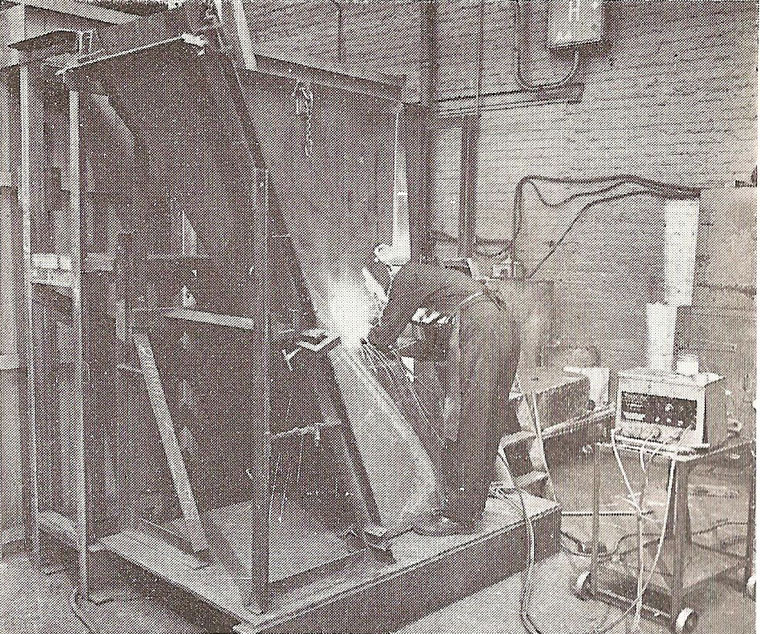 Drawbar 'Using' taken from furnace and placed in drop hammer. c. Late 1970s. 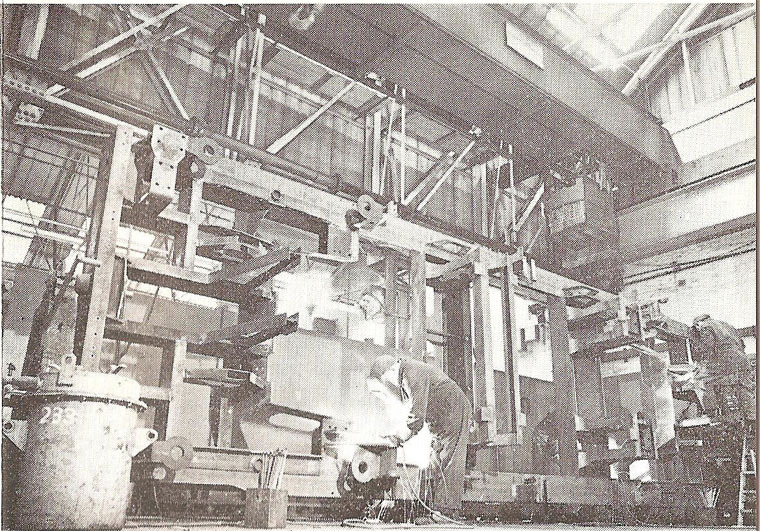 4 Ton Drop Hammer producing a drawbar. c. Late 1970s. 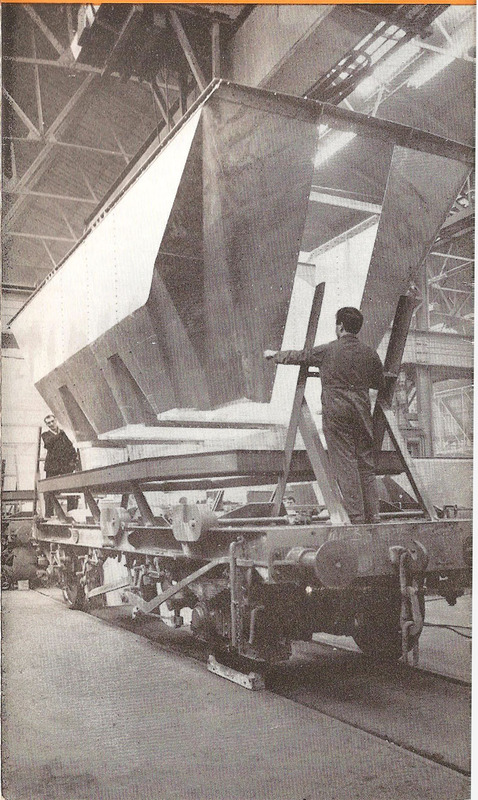 Coal Wagon Body lowered on the underframe in New Construction Shop. c. Late 1970s. New Construction Shop. c. Late 1970s. 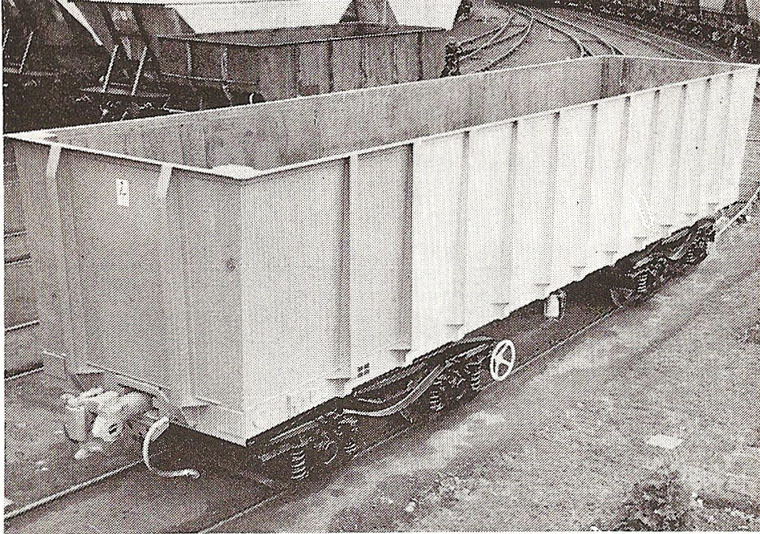 A 100 ton glw iron-ore tippler wagon for British Steel Corporation. Shildon was the terminus of the Stockton and Darlington Railway, when it opened in 1825. Its first locomotive superintendent was Timothy Hackworth, who maintained their locomotives. These had been giving so many problems that the Stockton and Darlington's directors were considering abandoning steam. Hackworth asked the railway's directors for a free hand to build a locomotive of his own design and, in 1827, built the Royal George. 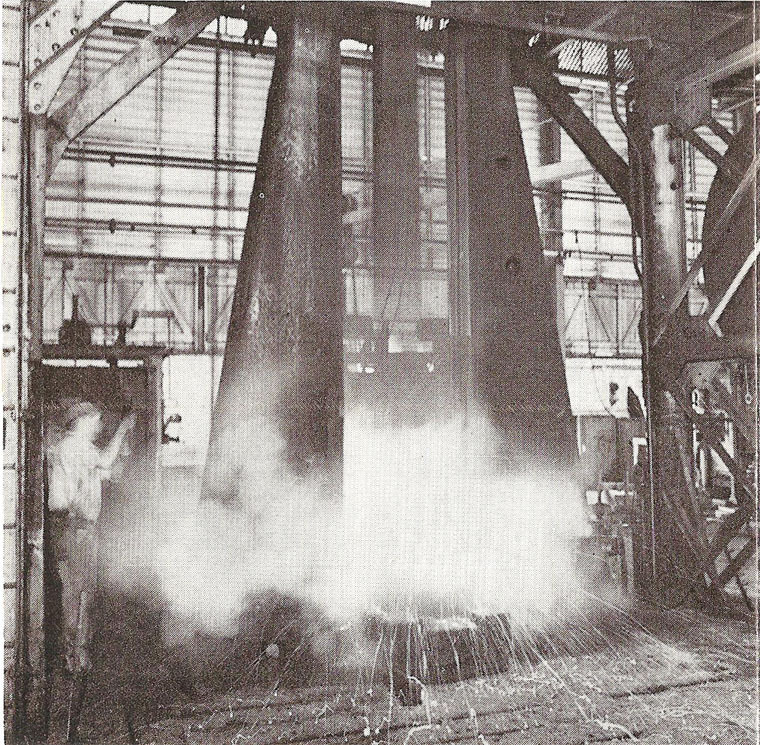 Among its innovations is said to be the blast pipe which directs exhaust steam into the chimney in such a way as to draw the fire, and seven more were built by 1832. The railway also no longer allowed horse-drawn passenger carriages to use the line. The existing freight engines were extremely slow. Hackworth was asked to develop something lighter and faster, and built the Globe in 1830, the first specialist passenger engine. 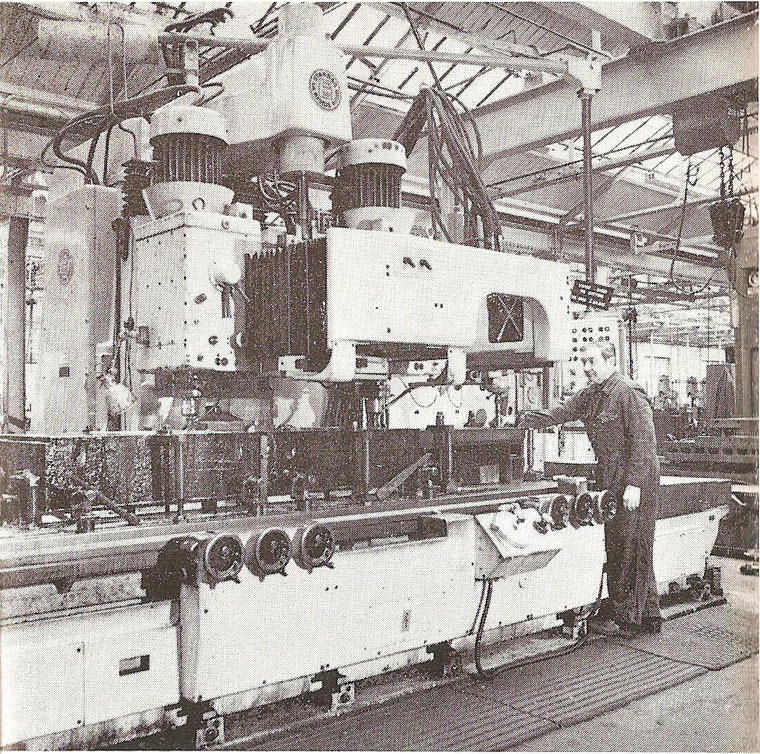 It was also said to be the first to use cranked axles, successfully at least. 1833 Timothy Hackworth entered into a new contract with the Stockton and Darlington Railway in which he became responsible for the working of the locomotives and workshops but remained free to operate his own business as a builder of locomotives and stationary engines. He opened new workshops, foundry and built houses for workers. 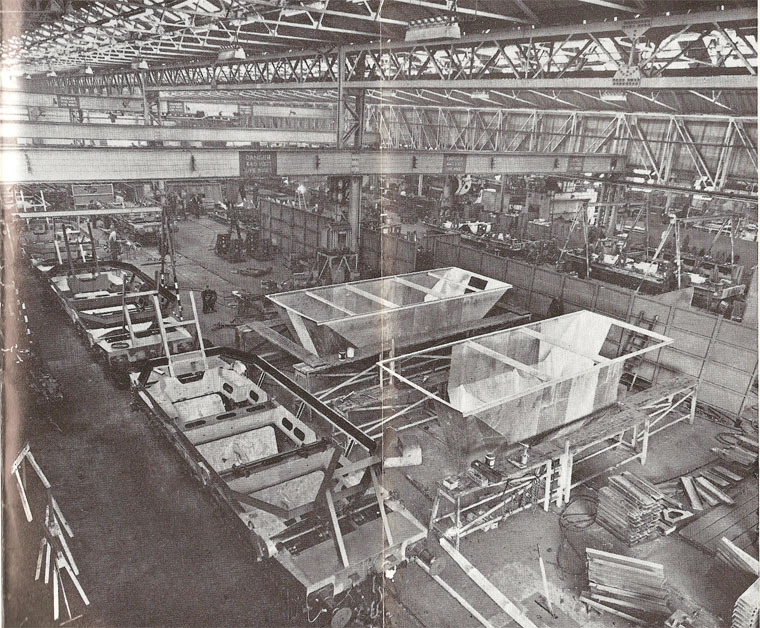 The business was conducted from new workshops at New Shildon, where locomotive, marine, and industrial engines and boilers were built. He placed his brother Thomas in charge along with Nicholas Downing and the business was initially called Hackworth and Downing. 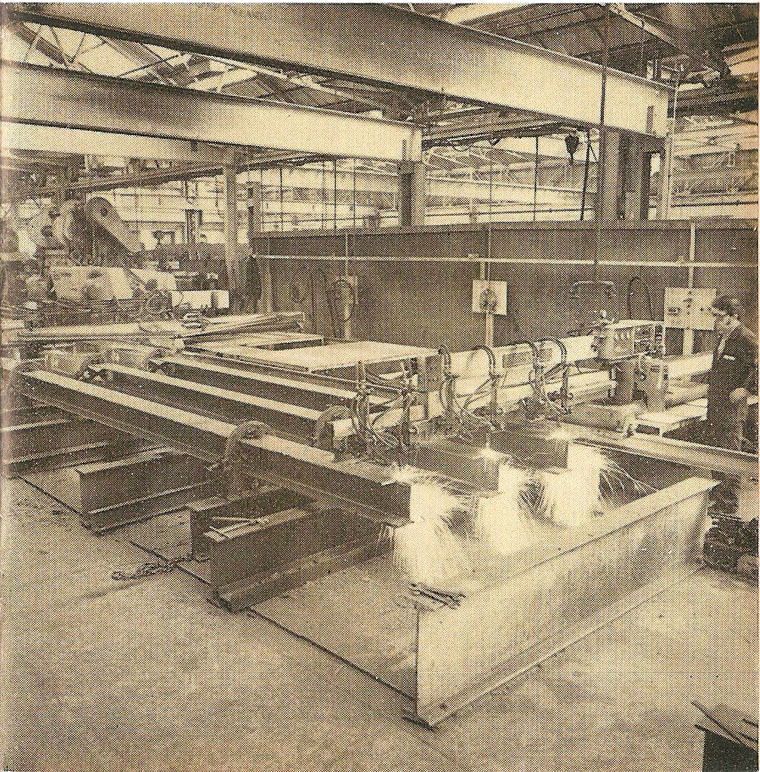 The S&D railway bought the Soho Works in 1855 to be part of its Shildon and Darlington Works. 1858 David Dale entered into partnership with William Bouch and became lessee of the Shildon Works. 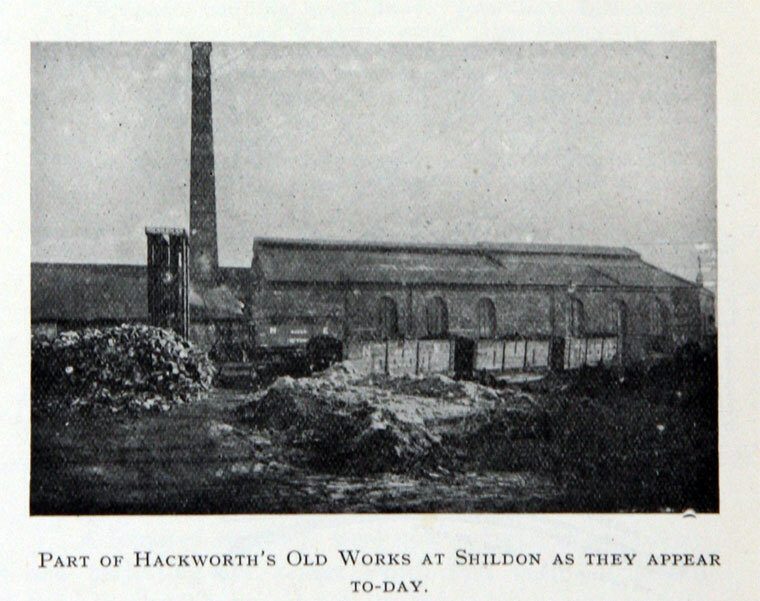 The Shildon Works Company had its the headquarters first at Shildon and later at Darlington. 1863 the Stockton and Darlington Railway company became part of the North Eastern Railway. Ten more locomotives were built between 1863 and 1867, but, generally the work was transferred to Darlington and in 1871 all locomotive work ceased. 1872 the partnership between Dale and Bouch ended. 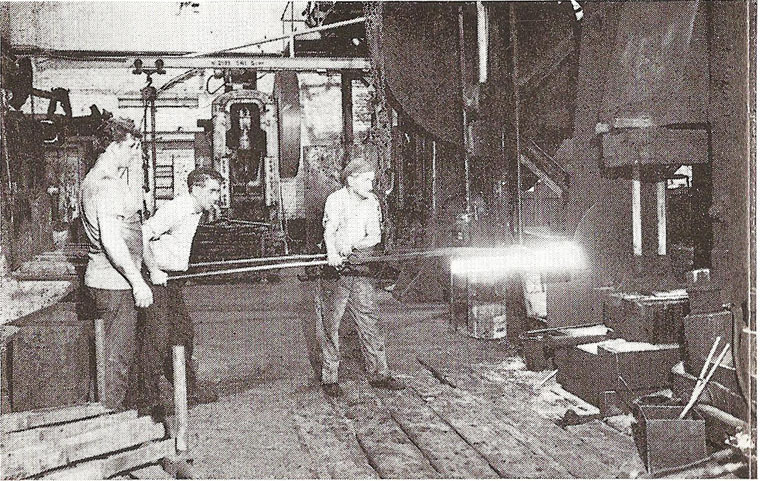 1883 the Soho Works closed, but the rest of the Shildon Works remained a major centre for wagon building and repairs. Among the Shildon Works' achievements in the 20th Century was the 'Presflo' cement wagon and the 'Freightliner'. British Railways' freight traffic contracted to the point where the works closed 1984. Part of the works is now the Shildon Locomotion Museum. c.1845 The engine Shildon was constructed at the Shildon Locomotive Works by Mr William Bouch. It had a Napier Boiler with one tube, and two cylinders, each 15 in in diameter and a 24 in stroke. 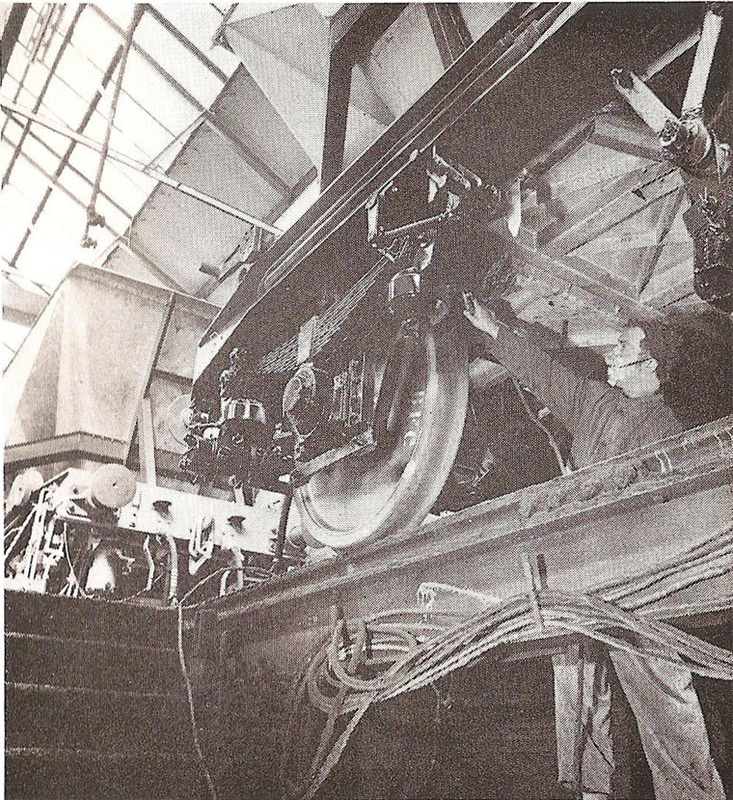 The engine had 6 driving wheels, coupled, each of 4 ft diameter. It was fitted with Gab-Gear.